It was a huge honor to be given the opportunity to head this small, fledgling, international school and to help to nurture its growth. All these years later, I am so proud of all that IDC Herzliya has become and the many areas in which IDC Herzliya leads the way in affecting the State of Israel and Jewish People and communities all over the world. In a landmark move for the entire academic system in Israel, in its 25th year, IDC Herzliya will be permitted to bestow PhD degrees and thus become Israel’s very first private university. In the high tech world, this could be translated as a start-up company become a fully-fledged venture within the Israeli academic scene. Having always modeled itself on IVY universities overseas, this important move takes IDC Herzliya to the next level in the world of education. Another exciting thing is the fact that IDC is the first in Israel to offer undergraduate degrees in entrepreneurship. The high demand in the program necessitated an increase in attendance spots, as well as the opening of additional programs in English, as part of the RRIS: undergraduates in Entrepreneurship and Business Administration and Entrepreneurship and Computer Science. "Studying in IDC is the best professional decision I've ever made", says Elishai Zeharya, Business Administration & Digital Innovation Student, "From joining the Entrepreneurship Club and becoming the Chief Marketing Officer of Momentum (IDC's startup accelerator), to accepting one of many internship offers in a startup through the Co-Op program, and becoming the International Marketing Coordinator of RRIS, I've had an astounding first year in IDC." The number of students starting undergraduate degrees in Entrepreneurship doubled this year from 155 to over 300. Some 1,200 applicants applied for the admission processes, which focuses on identifying entrepreneurial capabilities and virtues. 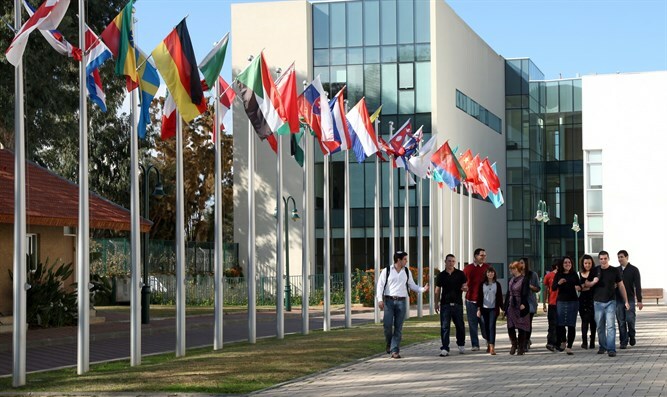 Today, IDC Herzliya is one of the leading academic institutions in the field of entrepreneurship in the world.